Galaxy Macau is the place where the brightest culinary stars shine. 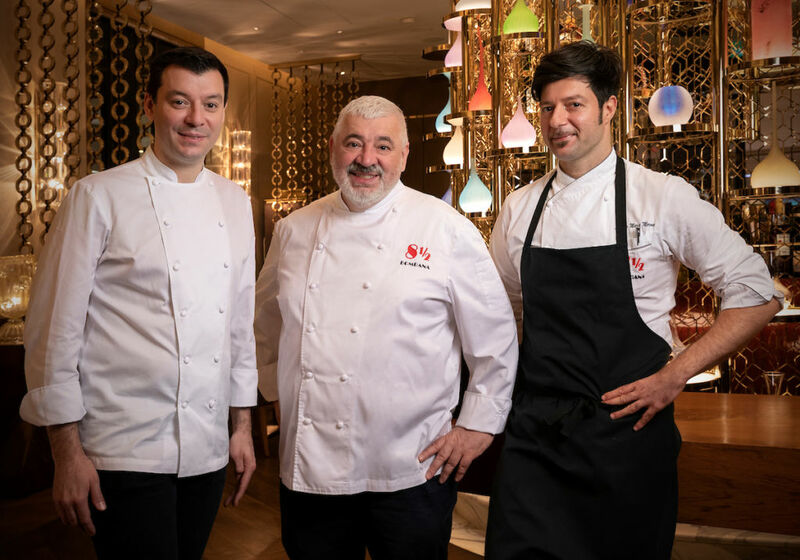 This March, three Michelin-starred Italian chefs gather for a one-of-a-kind culinary event at 8½ Otto e Mezzo BOMBANA Macau. 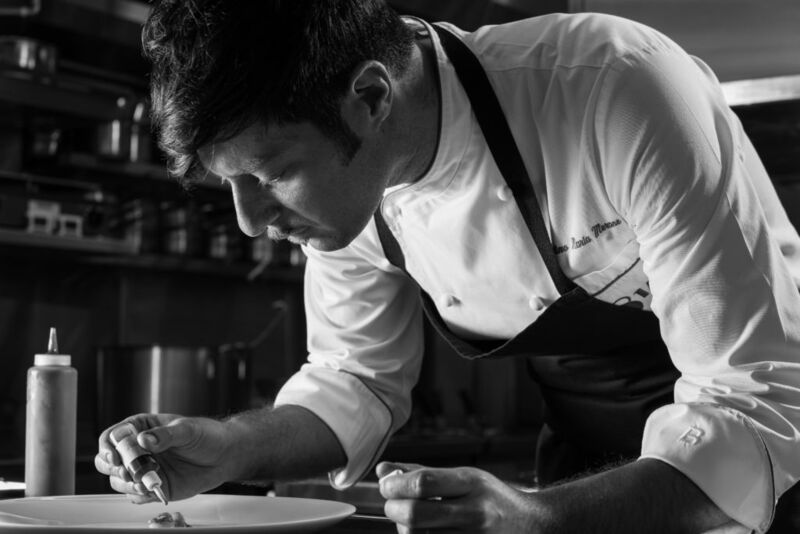 A six-hand exclusive menu, co-created by three charismatic Italian chefs: Chef Luca Fantin (Michelin 1-Star and 2018 Asia’s 50 Best no. 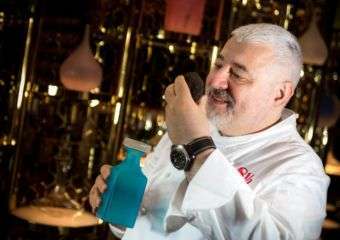 28), Chef Umberto Bombana (Michelin 3-Star) and Chef Antimo Maria Merone (Michelin 1-Star) promises a sensational and unforgettable culinary journey! 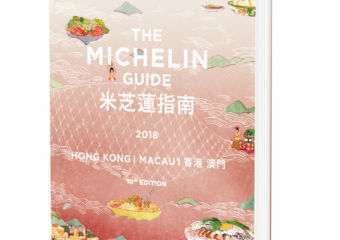 In anticipation of this exquisite dining experience, Macau Lifestyle has asked each chef six questions about the challenges of a six-hand luncheon, signature dishes on the menu and what to to expect from this grand event. 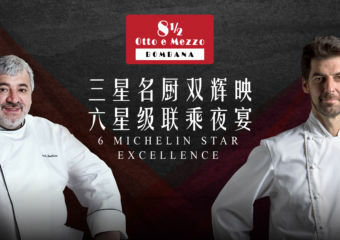 8½ Otto e Mezzo BOMBANA has been awarded three Michelin stars by Michelin Guide Hong Kong Macau for eight consecutive years and no other Italian restaurant in Asia has ever received such recognition. 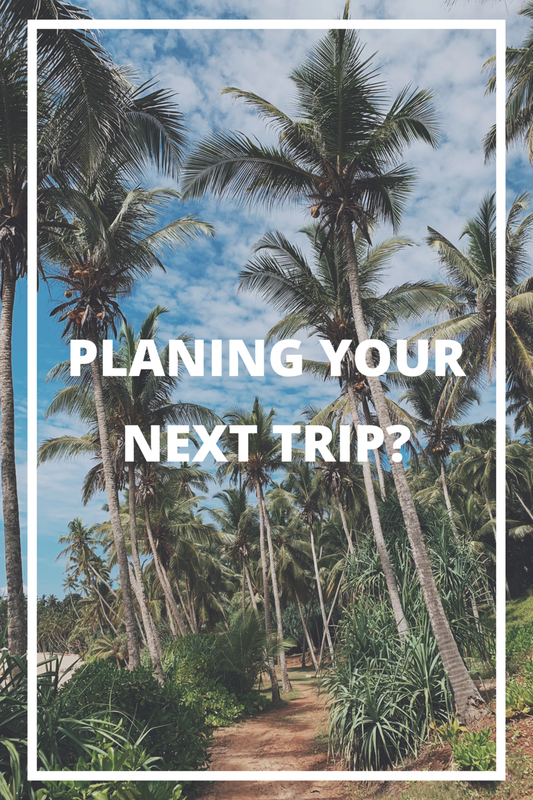 You’re still very active and ambitious–what drives you forward? I love cooking and I have passion for what I’m doing so it keeps me going. You are very photogenic, always with your big smile, what’s your secret to happiness? 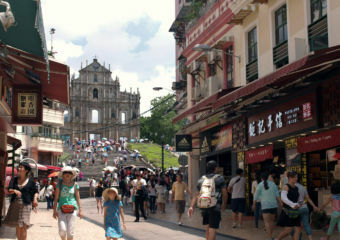 You settled in Hong Kong 25 years ago–what do you love most about Hong Kong and Macau? I love the culture and people of Hong Kong whom I’m around. 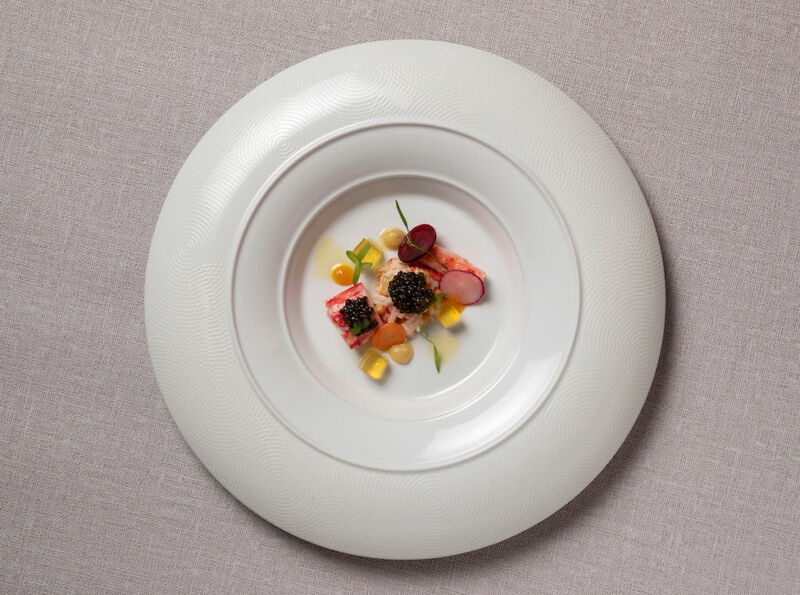 Tell us about your dish, ‘king crab royal oscietra caviar, winter salad and citrus fennel dressing’. Why did you choose to include it on the Six-Hand menu? This is one of the most popular dish among my guests and I would like to share and have more guests taste it too. You are hailed as the “King of White Truffles” and appointed a “Worldwide Ambassador of the White Truffle” by the Piedmontese Regional Enoteca Cavour. Why do you choose white truffle to elevate your dishes? White truffle is my favourite ingredient and the best comes from Italy! Thus, it makes perfect sense to use it to elevate my dishes. Each of your 8 ½ Otto e Mezzo BOMBANA restaurants, in Hong Kong, Shanghai and Macau are highly acclaimed. Between all three of them, how do you keep them all thriving? I am lucky to work alongside such great teams and with the support of amazing Head Chefs. Together we share the same passion for cooking and they are the success factors of the restaurants. 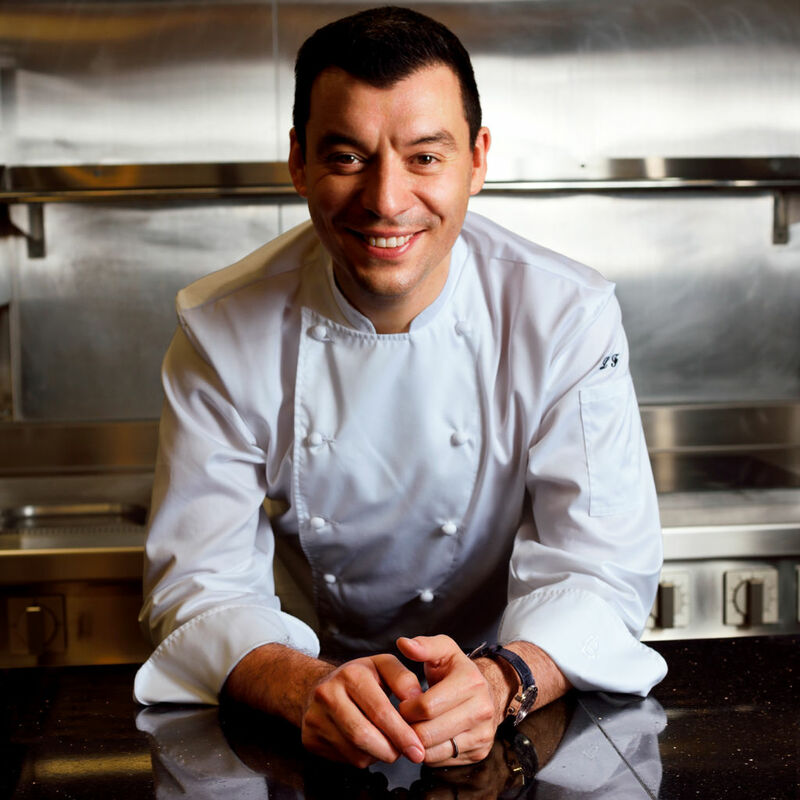 You’ve been working with Chef Umberto Bombana as executive chef at 8 ½ Otto e Mezzo BOMBANA Macau since 2014. What are some important lessons you’ve learned from the Chef? Working along Chef Bombana has been vital for my professional growth. Bombana’s food philosophy is “product-centric” as I like to define it. He pushes you to always work for the ingredient in order to highlight its best aspects. The technique, in his opinion, should never be shown on a plate. Rather, it should stay in the kitchen and be utilized to enhance the flavor and texture of the ingredient. This is, for me, the best lesson I’ve been given from him. What are some of your favorite ingredients to work with and why? I’m in love with tomatoes. When in season I always use them for different preparations. In general, I really like to work with vegetables that are in season when possible. 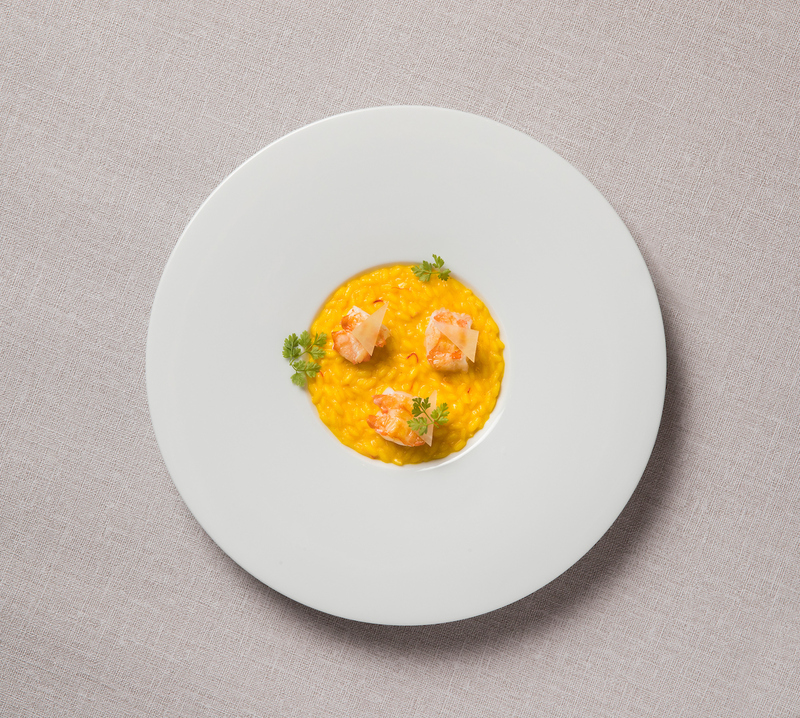 Tell us about your dish, ‘risotto saffron, Amalfi cedrat, roasted scampi’. Why did you choose to include it on the Six-Hand menu? When I invite guests to our restaurant I always give them priority on the selection of their dishes. Looking at what Umberto and Luca are cooking for the event I decided to do a risotto. Normally I always serve new dishes during these events Regarding this dish, I worked on a saffron risotto, which is a dish from Lombardy–buttery, a little sour, traditionally served with veal ossobuco. I wanted to serve a Mediterranean and southern version, lighter with less fat, yet still keeping a proper intensity of flavor. The butter is limited to a few grams per portion, and we utilize a citrus peel puree from my hometown, a lemon infused olive oil and Norwegian live scampi. The scampi body is roasted while the shells are cooked for a bouillon that we use to cook the rice. The dish is topped with compressed cedrat, a beautiful citrus from the Amalfi coast which has an incredibly aromatic peel and a very firm white flesh. Which of your past experiences influenced you the most in your cooking? I believe since I arrived to Asia my way of cooking changed a lot. I strongly believe that moving to this part of this world has widened my horizons. You are originally from Napoli, south of Italy. 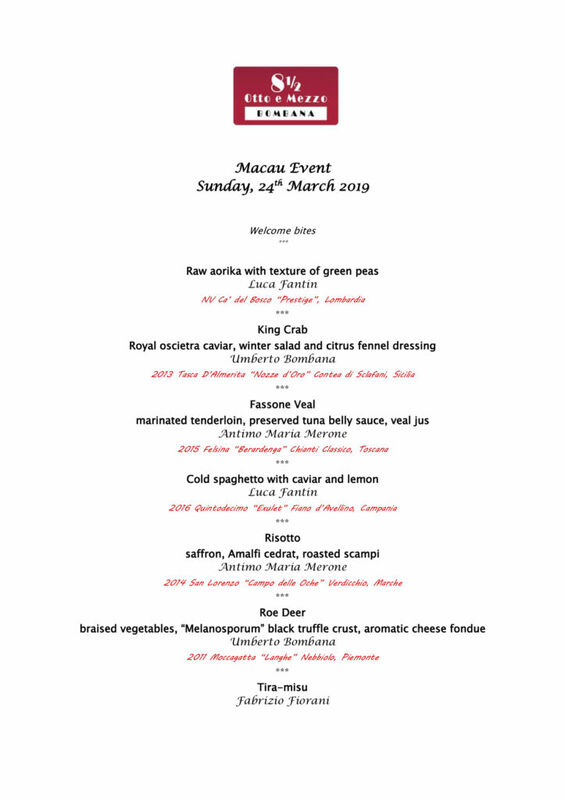 What Napolitan elements have you brought to 8 ½ Otto e Mezzo BOMBANA Macau? I would say there are many hidden elements of Neapolitan cuisine in what I serve such as the use of extra virgin olive oil, tomatoes, and the passion for fresh cuisine. 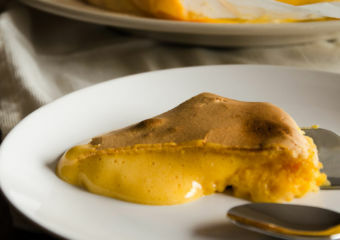 The use of bitter vegetables widely used in my region like escarole, artichokes, and endive are also little touches of Napolitan elements in my cooking. In summer, I always propose a version of Spaghetti al Pomodoro that changes every season as it is for me a never ending challenge. I always ask myself, how do I elevate something so simple to another level? 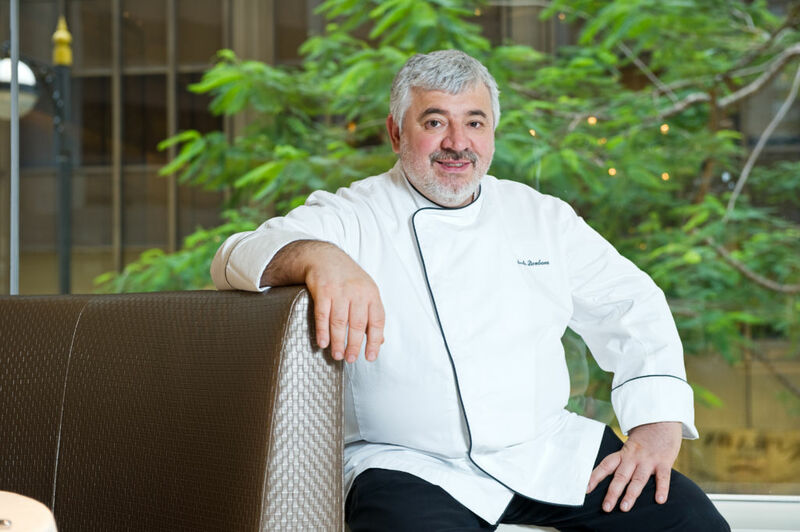 You often welcome other chefs, of course including Chef Umberto Bombana to your kitchen. What are the challenges of a Six-Hand luncheon? I must say I was very lucky so far to work with fantastic professionals. Maybe the most challenging part is about availability of certain ingredients. I remember when Enrico Crippa of Piazza Duomo came to our restaurant I had to find 60 herbs for his famous 21, 31, 41, 51 salad. I sourced the herbs from everywhere and ended up getting even more varieties. My walk-in fridge looked more like a garden back then! With so many prestigious awards, including “Best Italian Chef in the World” by the Italian culinary guide Identità Golose under your belt, how do you stay open and humble? I don’t look back to the past and always try to think about what is in front. I’m always focused on improving further, looking for new culinary directions, new concepts and also staying motivated. That is why I don’t think about what’s behind me and now that I’ve received these awards, I focus more on doing even better. Of all the recognition and awards you’ve received, which ones are you more proud of and why? S.Pellegrino Young Chef 2018 competition makes me the most happy because it was not a nomination for me but instead, me doing something good and valuable for another person. I was a mentor and a trainer for Yasuhiro Fujio from Japan. 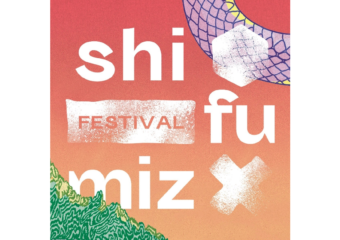 We worked six months before the competition together with Fujio to create a dish and continuously tried to improve it. And I remember very well, two days before leaving to Milan we were still considering and improving some details of the dish and we were still not 100% sure about it. Fujio and I were very stressed when we arrived to Milan, because we were still not 100% sure about the dish but then we won! 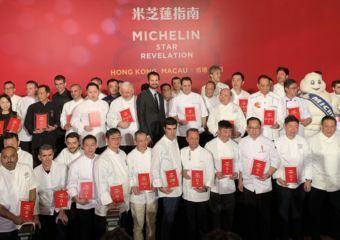 There were 22 countries participating with some of the top chefs around the world. We love following you on Instagram at @luca.fantin for the many fun behind the scenes posts! Why is being on social media important to you? Social media is something fun that I do and it’s not work by any means. I see something nice, take a picture of it and put it on Instagram. Then it became a bit more important because I post what I do (cooking) on a daily basis and I love sharing it. You frequently cook with other chefs for special events, what are the challenges of a Six-Hand luncheon in the kitchen? Working with other chefs is always a challenge but most of the time I work with very professional chefs. Working with different chefs is very motivating. I see different techniques and what they think about the dishes, understanding the philosophy behind the plate. Different techniques and thought processes are one of the main reasons we organize these kinds of six or four-hand menus. This isn’t your first time cooking with Chef Umberto Bombana. How did you get to know each other and develop your friendship? I like Chef Bombana a lot! I visited his restaurant for the first time many years ago because Umberto was the only three Michelin star chef outside of Italy. Eight years ago, I met him and he has a very nice personality. He also makes beautiful dishes with great ingredients and since then our relationship developed. 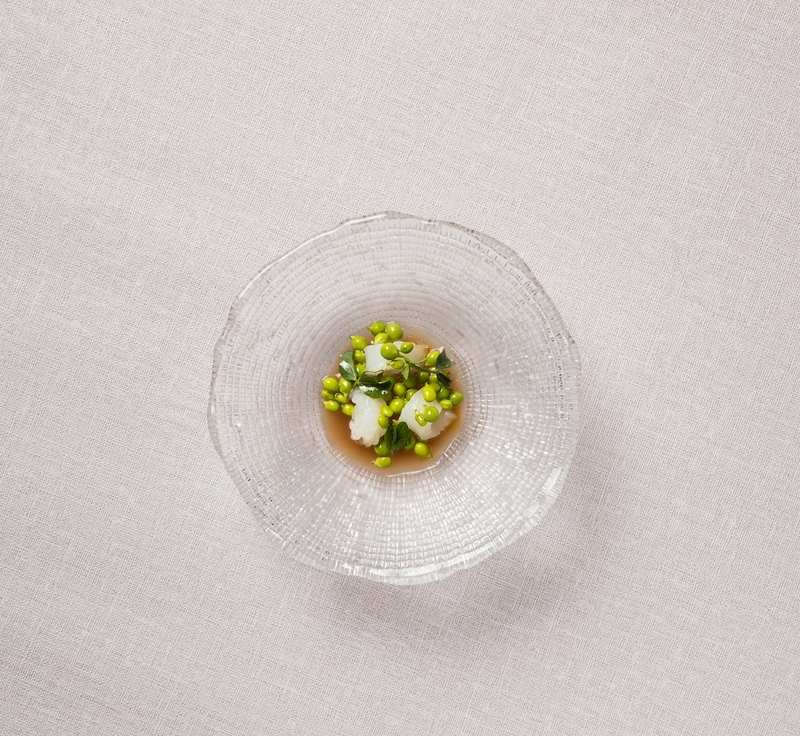 Your dish, ‘raw aorika with texture of green peas’ will open the Six-Hand menu. Why did you choose this? 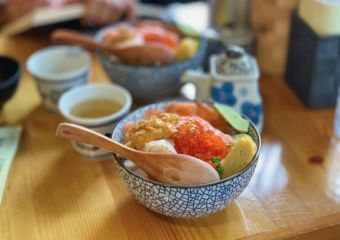 This dish combines the Japanese ingredients that are currently in season. Spring aorika is one of the main ingredients of this season as well as green peas–it’s delicate with some sweetness and tastes beautiful. This dish sums up my take on Italian cuisine made with seasonal Japanese ingredients. In my restaurant (Il Ristorante – Luca Fantin) in Tokyo we work with 90% local ingredients that reflect the current season.